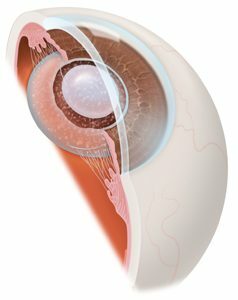 Approximately 20% of cataract patients will develop haze on the membrane behind the intraocular lens implant following cataract surgery, which results in diminished vision. The vision may be blurred, hazy, or is associated with significant glare and loss of visual acuity. This condition is known as posterior capsule opacity. 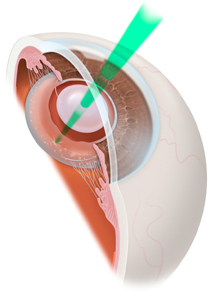 In YAG Laser Capsulotomy, a laser is used to create an opening in the hazy capsule situated behind the IOL implant to allow you to see more clearly. 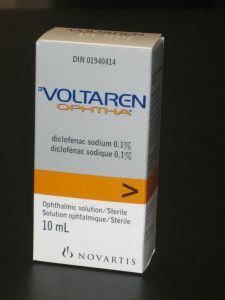 Your ophthalmologist will use eye drops to numb your eye and to make the pupil large. A special contact lens is put on your eye to help direct the laser’s high-energy beam of light at the capsule behind the implant lens in your eye. The laser makes an opening in the capsule. You will see a few brief flashes of light and feel little, if any, discomfort. The procedure usually takes less than 5 minutes. You will be able to go home soon after it is done. Your vision will probably be blurred for a short period, but then it should clear in an hour or two. You will not need to wear an eye patch and you may resume normal activities immediately. You can anticipate some “floaters” following this procedure, however, these will likely resolve within a few weeks time. Your ophthalmologist will want to check your eyes later to make sure the eye pressure is normal. There are some risks with the laser treatment such as inflammation, retinal detachment, lens dislocation, and raised pressure in the eye. Rarely the procedure may need to be repeated. Each of these problems is potentially serious, but they are each very uncommon. If you have any questions about the risks of this laser treatment, ask your ophthalmologist.